Long long ago, I’ve owned a Network-Attached Storage. One word, it was crap. It was cheap and the performance spoke for it. It was my first time dwelling into the world of network storage and being totally new, I opted for a budget solution. It was fun configuring the different settings (though few) and additionally, the access to a common hard drive (HDD) is convenient and useful. With that said, the transfer speed was horrendous and it became a fact that it was going to be a huge paperweight with performances like that. I must admit though that my knowledge of networking stuff and the network infrastructure of my house was not that much to be proud of then. Nevertheless, the performance was totally abysmal even for that point of time and it was not long after did I finally took it down to serve as a dust collector. A few years on and I’m back again setting up yet another NAS. The main push factor for the NAS is basically the need for a somewhat “backup” and additional storage for my father’s photographing hobby. Pictures are flooding his HDD and the recent failure of his external HDD screams for a backup solution. A main access area for media files plays a part in the decision making process as well. The idea of having one location for all the family’s photos, videos, music and other data is something that is exciting and nice to have. Since everyone in the household has some form of device that can connect to the internet and network, why not have it so that data can be easily accessed from one location? With the future being smart TVs, Home Theatre PCs and everything digital, a centralized server of files will be extremely useful. So yes, a NAS was decided upon all the considerations and my repeated questioning to my father: “will you actually make use of it?” I didn’t want another paperweight that does nothing but consumes electricity and takes up space. Now the responsibility is passed on to me. Being more fluent in IT within the family, I had the only say in recommending a solution for the task at hand. I’ve always knew about the DIY path that many have taken but was a bit afraid to commit for fears that I might lack the ability to configure one to work as well if not better than an off the shelf product. I’ve spent many days reading and researching and have finally decided upon doing it myself. Off the shelf NASes that performs well have a rather hefty price tag to them. While it guarantees performance and workability, my faith in my own ability in computers is sufficient enough to save the premium that retail solutions command. With all that said, I will be sharing my finds and stories in this adventure in the realm of DIY NASes. I will be putting up videos and articles on the different things that I’ve done to get the NAS working along the way. 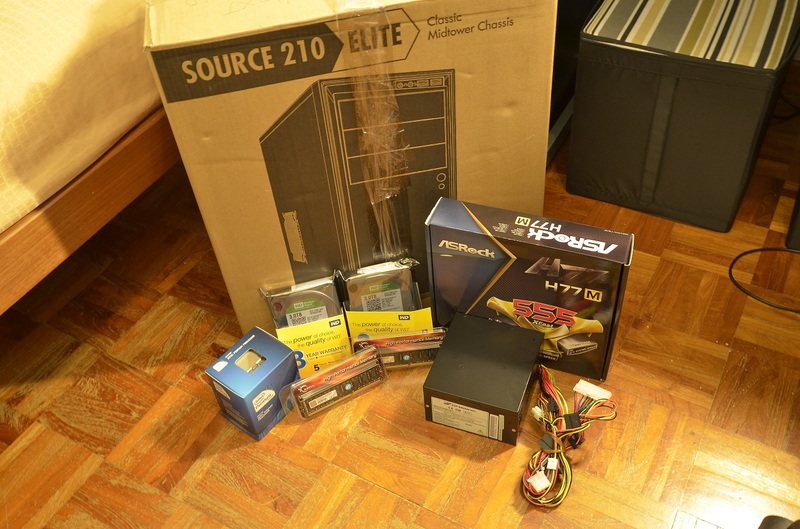 This serves as an introduction to the coming series of posts concerning the DIY NAS.